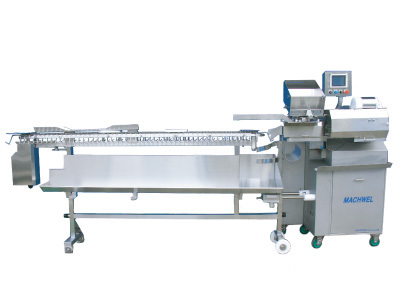 High speed linking system for natural and collagen casings. The Machwel offers advanced performance capabilities in a compact format. Equal Length - Equal Weight - Equal Diameter Combined with superior particle definition. 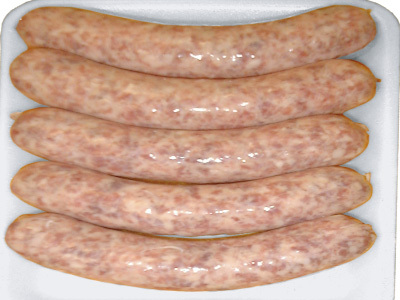 This system reduces the number of operators when stuffing natural casing sausages. During the linking process, the casing is being advanced forward through the follower mechanism. 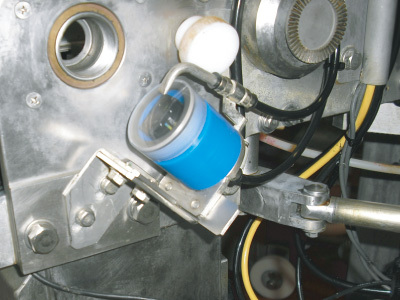 Once the casing comes to the end, the linker stops, follower retracts and allows the reloading of the next casing. This all happens automatically without human intervention. Everything is stored and pre-determined. Linker- and pump speed, casing control, twist etc... the same every time. If any type of problems occur during operation, its location will be displayed immediately. Also, it can quickly be resolved with a flow chart for the machine. 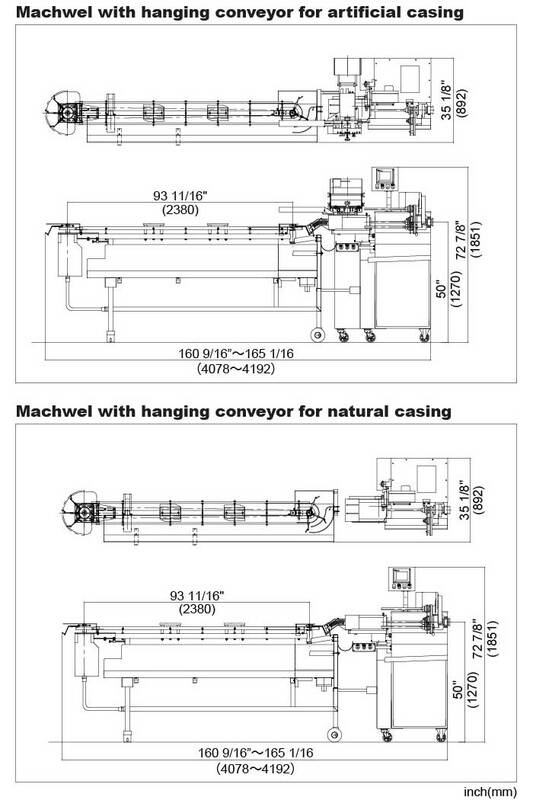 Machwel with hanging conveyor and removable casing hopper for artificial casing production. 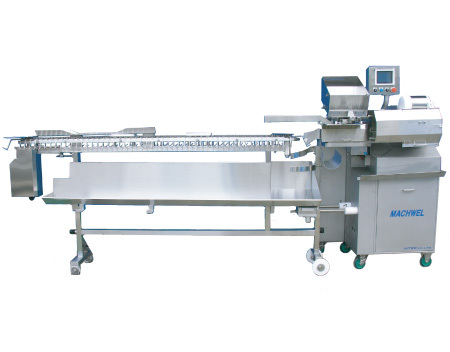 Machwel with removable casing hopper and link cutting chain for fresh sausage links in collagen casing. 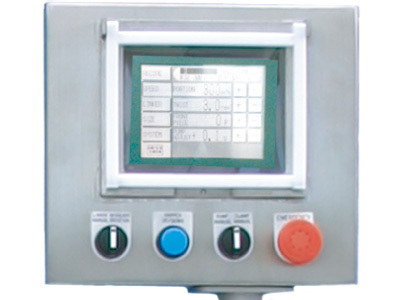 ※Dependent on casing quality, product size, weight and/or factory conditions. Artificial Casing 3 pitches (28.6 mm, 1 1/8 in) through 32 pitches (304.8 mm, 12 in) or more.